Dubai airport is located roughly 3 km outside Dubai which makes the city easily accessible if you are stuck there for a long layover. In order to know if you can leave the airport and visit the city during the layover you need know if your nationality requires a visa even for short visits into UAE. If it isn’t feasible to leave, don’t worry, Dubai airport offers many options with respect to shopping areas and restaurants. Dubai airport has more than 80 eateries top choose from. You can get a variety of cuisine options from fast food to gourmet sit down restaurants like The Kitchen By Wolfgang Puck. You can get a map of the airport that will show you where the restaurants are. If you are venturing out from the airport to the city, go for a Peruvian inspired dinner at Coya in the Four Seasons Resort, but make sure you reserve your table in advance, as it is very popular. If you’re going to be in Dubai at breakfast time, check out the best breakfasts Dubai has to offer here. The airport has almost any duty free shop you can think of and they’re open 24/7. You can pick up designer brands, the latest couture, and the usuals like tobacco and alcohol. Buy some gold! Dubai is known for selling gold at really great prices. If you need a little peace and quiet there are Zen Gardens and an indoor Oasis. There is also a women’s lounge and a children play area. There are Dubai International first class lounges for specific airlines, Business class lounges for specific airlines and there is also a Dubai international business class lounge if your airline does not provide a lounge of its own. If this isn’t enough, you can visit one of the many malls of Dubai, but you may want to send your purchases to your home address, as you don’t want to overload your luggage. Dubai international airport hotel is a five star hotel that offers hourly rates as well as overnight rates if one wants to rest during a layover. The hotel has a health club, business centre, 24 hr laundry and room service. You can pay fees to go swimming in the pool, use the gym, Jacuzzi, and use the shower facilities. The airport also has resting places called the Snoozecubes if you are interested in taking a quick nap during your layover. Sleep n Fly lounge is another option if one wants to take rest between flights. Both these places charge hourly. If you’d like to spend a night in Dubai away from the airport, then have a look at the options for fabulous accommodation in Dubai here. Usually your luggage will be being transferred from one plane to another for you, but if you’re switching airlines there is a chance you might have to collect your luggage and check it in with your next airline. If you need to store it somewhere until the check in desk opens, or if you just don’t want to take all your hand luggage with you, you can store it before heading out. You can visit the park at Burj Khalifa, the first 7 star hotel in the world, and watch the musical fountain, or play in the water park. Hop on a helicopter and take a 15 min ride around the city past major sites like Burj Khalifa, The World’s Islands and Burj Al Arab. Take a ride across the creek and head to Al Fahidi, a historical district, where you can see traditional Arabian architecture. Visit the Dubai museum or Dubai traditional markets that are called “souks”. Make sure you check in with your airlines about the security check in times for your next flight to your destination country. The post What to Do in Dubai on a 24 Hour Layover appeared first on Quirky Nomads. Autumn is a fabulous time of year to be outside. The weather is generally very moderate, places are less crowded, and tourist attractions often have cheaper fares because it’s not the peak season. Don’t waste this lovely time of year running errands, stuck in traffic, or sitting on the couch. Here are 4 fabulous things to experience in the UK this autumn. An arboretum is a botanical garden that is filled with different types of trees. Visiting an arboretum in the autumn is amazing because all of the leaves are changing colours. This creates kaleidoscopic patterns that will leave you breathless. Batsford Aboretum is in the Cotswolds and it is a great place to see the contrast of the changing leaves mixed with evergreen species. Winkworth Arboretum in Godalming Surrey is great because you can also go on a circular walk across the wetlands. Yorkshire Arboretum is at the Castle Howard Estate and it is a 120km garden that includes ponds, lakes, and many different kinds of trees. The Estate is about one hour from Yorkshire Dales National Park. Many people in the UK grew up with Sunday Roast being part of their childhood. One way to experience this without the hassle of cooking and cleaning up is to head to a cosy pub. This leaves you free to spend the day playing football, walking or cycling so that you can work up an appetite. A traditional Sunday roast generally consists of roast beef, pork, or lamb, roast potatoes, Yorkshire puddings, sausages, stuffing, vegetables, and gravy. If you’re travelling in a big group, and you want to experience making a Sunday Roast yourself, you can all stay in a holiday home, and enjoy going out to local markets and farm shops to forage for the best fresh ingredients to cook with. Check out this recipe for making the perfect roast potatoes! The Northumberland International Dark Sky Park was designated a park in December 2013. It is by far the best place in the UK for stargazing and it is 1,483 square kilometres. The perfect combination of no outside light sources and the lack of pollution make this the ideal spot for viewing the night sky. You can easily see the Andromeda Galaxy, The Milky Way, and spectacular meteor showers. Dress warmly as it may be cold. Take binoculars for better viewing. If you have a tripod and a good zoom lens this is a great place to get some photos. Stonehenge is in Wiltshire, England and it is about an hour’s bus journey from London. Stonehenge is a stunning rock formation made of several stone slabs with the largest slab being 30 feet tall and weighing up to 22.6 tonnes. Stonehenge is one of the most iconic landmarks in the world and it dates back to 3100 BC. Scientists are still mystified by the purpose of this rock formation and no one knows who built it or for what purpose it was built. Autumn is a great time to go camping in Wiltshire and you can stay in tents, caravans, or glamping pods. However, if you’re travelling with young children, it might be easier to stay in a holiday home with the amenities you need already provided. Here are some other tourist attractions and ideas of fun things to do in the UK. The post 4 Things to do in The UK This Autumn appeared first on Quirky Nomads. Dubai is one of the cities in UAE considered to be a paradise for shoppers. From buying gold in souks to buying designer handbags in malls, there are certainly plenty of shopping opportunities here! 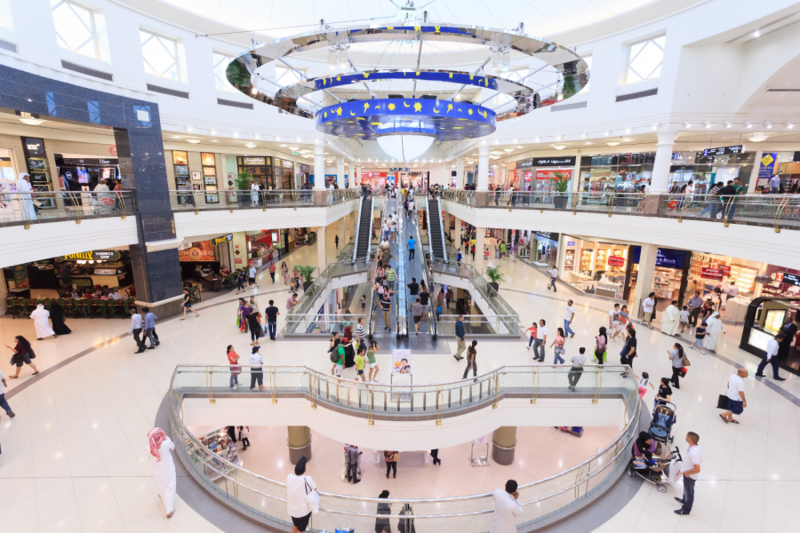 Malls in Dubai not only have shops but also theatres, child minding centres, art galleries, cafes, middle eastern styled bazaars and even mosques. You can choose everything from cheap trendy clothing to the latest couture. The only limit is your budget. Dubai is also one of the cheaper places to buy used exotic cars as long as you factor in the cost of shipping it to your own country. If you need to cool off from the Dubai heat, there is also a mall that offers indoor skiing. Milan is a great city for architecture, art galleries and fantastic shopping stores. It has extensive designer stores and boutiques that have a wide price range. Galleria Vittorio Emanuele is considered one of the earliest shopping malls built in the world. This mall has beautiful architecture and a wide array of stores. The best boutiques are found in the Brera District, which is known for its art galleries and Italian made products. If you is looking for high-end international brands the Corso Buenos Aires has the largest concentration of stores. Via Montenapoleone, Corso Venezia, and Corso Vittorio Emanuele II are some of the streets that have luxurious designer stores for brands such as Prada, Gucci and Valentino. New York City could be categorized as an outdoor shopping mall. Some of the popular destinations to shop are Macy’s which has ten floors of almost everything from food to fashion and furniture. 5th avenue is popular for stores like Tiffany & Co, Armani, Bergdorf Goodman and a massive Apple store. For great vintage clothing you can go to Bedford Avenue and Brooklyn Flea Market. FAO Schwarz is a fabulous place to go if you are looking for toys and it is the oldest toy shop in the US. If you are looking for books visit The Stand. Madison Avenue is great for designer wear, Soho is filled with chic boutiques, and Chinatown is great for knockoff designer goods. Delhi is considered a shopping hub in India. Malls in Rajouri, Vasant Kunj, Dilli Haat or the flea markets of Sarojini Nagar and Palika Bazaar are places you can visit for all your shopping needs. You will find clothes, handicrafts, automobiles and many other items. Mumbai is known as the city of dreams and it is perfect for shopaholics. Fashion Street, Linking Road, Colaba Causeway and Zaveri Bazaar are prominent locations to find what you need. Kolkata is one of the largest destinations for shopping in the eastern part of India. You can visit craft emporiums that have Assam and Nagaland handicrafts at great prices. Laad Bazaar in Hyderabad is famous for Hyderabadi Pearls and other semi precious jewellery. Hong Kong is known for its low priced products. Mong Kok is a good place for markets and food stalls and it is also great if you want to bargain. Sham Shiu Po is well known for gadgets, electronic appliances and computer products. Tsim Sha Tsui is where you can go for a luxurious shopping spree. Causeway Bay also has a wide variety of shopping malls, boutiques and bargain street markets. The post 5 Perfect Holiday Destinations for Shopaholics appeared first on Geeky Traveller. Situated in the southeastern region of Italy, Puglia, also known as Apulia, is one of the best-known destinations in Italy. In many respects, Puglia makes for the perfect holiday spot. The splendid region boasts not only of a sublime climate, but is also home to beautiful villages and towns, stunning architecture, delicious food and impressive folklore and traditions. With more than 800 km of coastline, the region is well loved by people who have a fascination for life on the open sea. Whether you go to the Adriatic shores or the vast stretches of sandy beaches on the Ionian Sea, you will never have to look far to find a great spot to unwind and relax. And all of this with a climate that is as pleasant as anywhere in the Mediterranean! Puglia is a tourist’s delight. There is much beauty to behold and plenty of things to do and explore in the region. Here are some must-visit places not to miss if you are planning to book a holiday in Puglia. The easternmost town in the region, the town of Otranto draws a lot of tourists. It has been declared as “Heritage witness to a culture of peace” by UNESCO. The town has a small seaport that is mostly used for tourism and fishing activities. There is a wide array of local and international festivals are held regularly in the region such as the Otranto Jazz Festival, La Notte della Taranta and others. The picturesque town located on top of two hills is located south east of Puglia. The small region boasts scenic beauty and modern architecture. It is undoubtedly one of the most characteristic towns in the country and is well known for its traditionally constructed stone houses referred to as trulli; these houses have been declared a World Heritage Site by UNESCO. One of the primary tourist destinations in Puglia, Castellana Caves is a small town located in the Bari region. The town gets its name chiefly from the large and beautiful complex of caves located here. The place has a beautiful historic center with several ancient structures that date back to the 17th century. Castel del Monte is situated near Andria. It was constructed during the 13th century and is a UNESCO World Heritage Site. Referred to as the “Florence of the South” for its Baroque architecture, Lecce is also home to scenic countryside, small towns and beaches. It makes for the perfect destination for a weekend break or a holiday and is an excellent base for exploring the Salento Peninsula. Ostuni attracts a huge number of visitors every year, especially during the summer months. The popular tourist spot is also referred to as “White City” because its historic center is completely painted with white lime. The place is a labyrinth of white washed houses with beautifully decorated balconies and quiet, clean streets. It’s the perfect place to enjoy a leisurely lunch and take a stroll afterwards. These are just some of the tourist attractions in Puglia. Pick a town at random and you are likely to find a fascinating blend of history, beautiful architecture, friendly people and sumptuous food. The post A Visit to Italy’s Best Kept Secret appeared first on Quirky Nomads. Going on a luxurious cruise with your loved one might just be one of the top most things in a traveler’s bucket list. Watching the sunset from the deck of a beautiful ship while cruising through the ocean can only be described as a surreal experience. However, the luxurious experience of a cruise ship comes with a hefty cost. Most of us cannot even dream to spend that much money for a fraction of our vacation plan. But now, you can book a romantic mini cruise from Cruise and Maritime Voyages which will fulfill your cruising dreams without breaking the bank. You can book from a range of one night to five nights cruise packages depending on your budget and time, and enjoy a romantic vacation cruising the waters through Europe with that special someone by your side. The mini cruises offered by Cruise and Maritime Voyages ranges from extremely budget friendly to a moderate budget packages in order to suit your pocket. You can book a one night cruise if you just want a taste of the luxury and lavishness of a cruise ship with your loved one. If you have slightly more budget to work with, you can go for their three night or five night options for a more extravagant, more elaborate luxury experience. Cruise and Maritime Voyages conducts their mini cruises from various cities throughout Europe. So no matter where you are for your vacation; from Newcastle to Belfast, from London to Cardiff; you can be sure to catch a cruise to spend some romantic time with your loved one, indulging into the lavishness and the luxury that your ship has to offer. One of the great things about these mini cruises is, you can go for a short trip to unwind from your busy schedules if you don’t have time for a proper vacation. Just book a one night or two night’s weekend special cruise trips to spend some time with your partner. You can be sure to have the most memorable romantic weekend getaway in Europe you have ever experienced. Although these mini cruises won’t break the bank, still you won’t have to compromise on the luxury of a cruise ship when you book a mini cruise with Cruise and Maritime Voyages. With a lavish five course dinner, stylish big show entertainment, cabaret and late night disco, your cruise ship will spoil you and your partner with all the luxury a cruise ship has to offer. Enjoy you stay on the cruise ship in their luxurious ocean view rooms to take your cruise ship experience to a whole new level. With all their indulgent food, luxurious cabins and unmatched pricing, the mini cruise offered by Cruise and Maritime Voyages is really an experience which you cannot afford to miss. So whether you stay in Europe, or visiting to any of the cities they operate their tours from, make sure to book yourself a romantic mini cruise experience for you and your loved one to enjoy It will be an experience which you and your partner will cherish forever. The post ENJOY A ROMANTIC CRUISE IN EUROPE WITH YOUR LOVED ONE appeared first on Quirky Nomads.